She came in to my life about 4.5 years ago. I needed a moderately nice 4 door sedan for for my real estate business. It was just there sitting unused beside the building that I worked out of at the time. It had been sitting for a few months since she bought a replacement car. The tires had gone flat and the paint was shot form years sitting outside. A '95 Jag that my real partners wife had purchased almost new about 10 years prior. It had about 12,000 miles on it when she bought it. When I bought it had about 120,000. Everybody said that's high for a Jag. I heard all the stories about how I better have my own personal mechanic, blah, blah. It met my needs at the time and the price was right. I never told people how much I paid for the car because I always wanted people think that since it was a Jag it was probably expensive. It was true that I did get a lot of comments like "wow, you're driving a Jag, you must be selling lots of houses". Oh those ill informed 1st impressions can be so misleading! I paid $2000 for the car. It immediately needed about $700 in repairs to get it running properly and past the strict Georgia emissions test. About 2 years after that I did have to have a fuel pump installed and I put a battery in it last winter. Other than oil changes and routine maintenance that was it. The car was rock solid dependable and I never hesitated to drive it anywhere. Here is a tip for agents or anybody trying to save some money on a car. Luxury cars with a few extra miles can be bought pretty cheap. It beats the heck out of a $500 per month car payment! Finally the time came to say goodby. 4.5 years is the longest that I have ever owned any car. I put the ad on Craigslist and had several calls. Today a young man with more energy and mechanical skills than bought the car. It had 193,000 miles and the Kelley Blue book on it was still $1850. I let him him beat me up a little on the price and finally let him give $1700 cash. Look at all that money you saved over the years and still road in style, how can you beat that. So what did you replace her with? 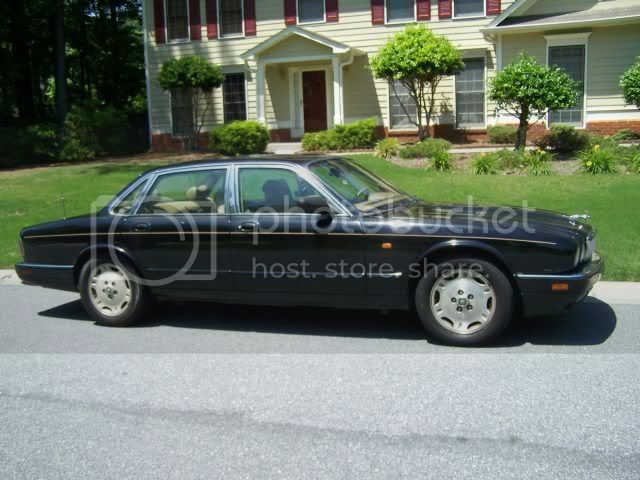 Bob, One of my favorite cars was a 1986 Jag XJ6 four door. I sold mine in 2004 and many times I wish that I still had it even if I did sell it for more than I paid for it. You're right. Used luxury cars can be a real bargain. Especially if they get a few extra miles. I've never been afraid of high miles if its well maintained.